Looking for that perfect gift for the music lover in your life! and the ring is about 1.25" diameter. 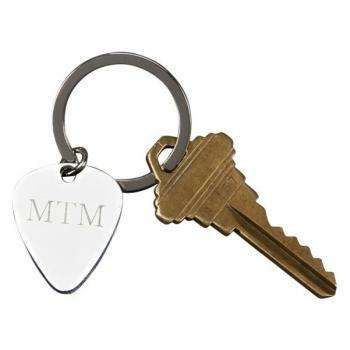 The guitar pick be engraved with a monogram . The bright silver finish is stainless steel and will not tarnish.